Type and Characteristics - Single screw, iron-hulled tug, built by Reaney, Son and Archbold, Chester, PA, launched 29 October 1864, completed October 1865, 306 tons, 137ft long x 26ft beam x 11ft draft, 8.5kts, armed with 2-30pdr Parrott rifled guns and 1-12pdr howitzer, 52 crew, first commanded by Lt Cdr Henry H Gorringe. Log Period and Areas of Service - 1865-1908, Atlantic coast, Alaskan waters. October 1865 – Served on harbor duty at the Philadelphia Navy Yard. 22 November 1873 – Operated out of Key West on various duties including messenger service, naval drill in Florida Bay, and towing and freight services. 15 April 1876 – Decommissioned at Norfolk Navy Yard. 1878 – Reactivated as a yard tug. 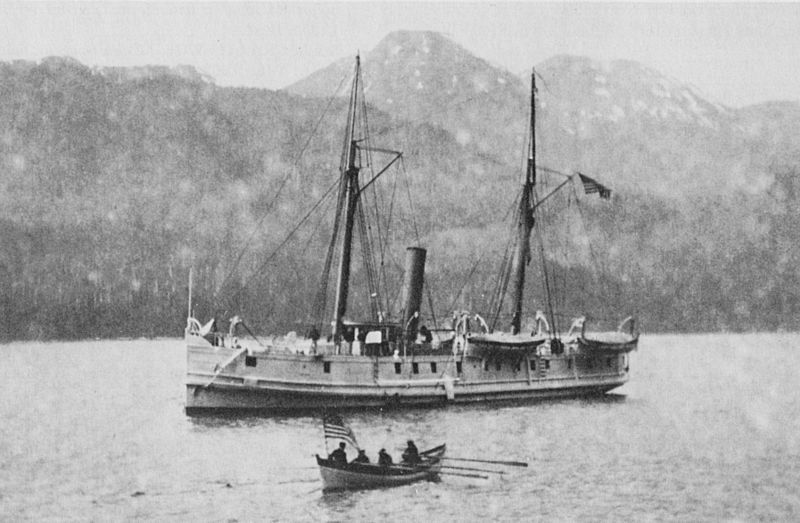 24 February 1883 – Patrolled Alaskan waters protecting the seal fisheries. 10 April 1889 – Laid up for repairs at Mare Island Navy Yard. 17 October 1889 – Continued in patrol operations in the Bering Sea. 17 July 1897 – Decommissioned at Mare Island Navy Yard. 1898 - Served with the Naval Militia at San Diego, California through 1907. Fate - Struck from Naval Register January 1908.